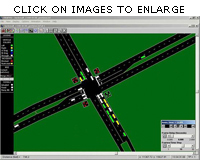 All work is done using state of the art computer methodology in accordance with contemporary engineering standards. TMA has performed traffic and parking studies for a very wide range of land use activities that have included hospitals and related medical facilities, residential subdivisions, high-density high-rise projects, large mixed use projects, neighborhood and regional shopping centers, office parks, industrial parks, small to large manufacturing facilities, not-for-profit housing for the elderly, nursing homes, marina proposals, rezoning applications and Town Master Plans. All traffic work is done using methodology outlined and accepted by the Institute of Transportation Engineers, the Transportation Research Board and applicable agencies such as the New York State Department of Transportation and the New York City Department of Transportation. TMA use an experienced team of traffic technicians to collect field data throughout the metropolitan area. We can quickly assemble teams of up to 20 technicians to carry out complex data gathering programs that include manual turning movement counts, speed runs, and parking inventories.